I am your trusted home inspector. What makes Best Choice Property Inspections the premier home inspection company in WNC and the Piedmont? Your Locally Owned Home Inspection company. I provide certified home inspection services to WNC and the Piedmont. My services include Residential Home Buyer Inspections, Pre – Listing Inspections, Radon Testing, Roof Inspections & Annual Maintenance. Best Choice Property Inspections is committed to serving you, my customer. My business is built on trust, integrity, customer service and ensuring you have the information you need about one of the largest investments you’ll make. With Best Choice Property Inspections, you are getting an experienced inspector who understands the commitment you are about to make. When you hire us to inspect your new home, I guarantee that I will take the same care as if it was my home. Best Choice Property Inspections is professionally trained, certified and ready to deliver the service you deserve. I use cutting edge and most up to date and technically advanced tools. I have been in the building and remodeling fields for over 25 years. I have really seen it all. I make myself available 24/7 for any questions you might have. 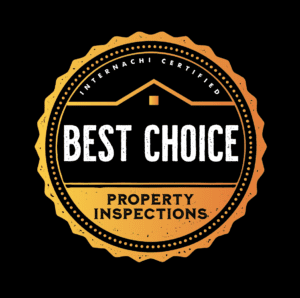 Thank you for choosing Best Choice Property Inspections! When you send in a request for inspection, I will be in touch to discuss your home and your particular needs.